Today I’ve founded a new company! It’s called Lalalalala and it speciualizes in music composition. Specially short tunes. You can visit my new company’s website here www.lalalalala.nl. So if you need a tune you know ware to get one! And like the facebook page if you like the facebookpage. This entry was posted in News on 4 September, 2012 by Jornt. Hey I’m heppy to announce our gig on the Lowlands festival this year. 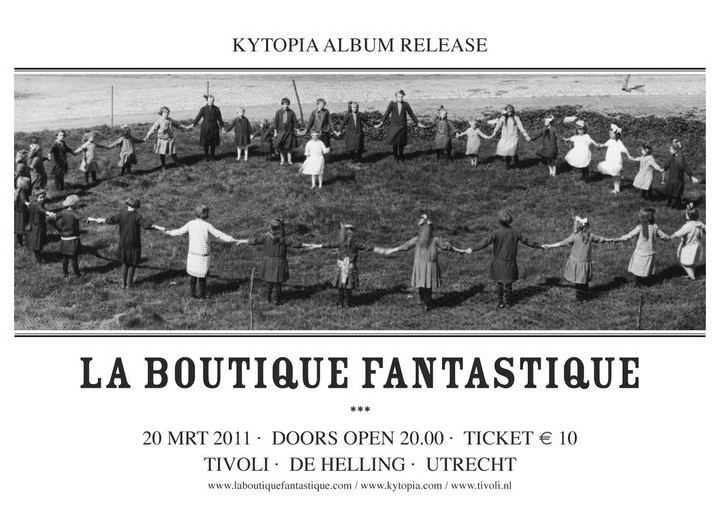 La Boutique Fantastique will play on Saterday 20 august 2011 at 20:00 on the Lima stage on the Lowlands festival yeah! more info about the festival here. More show dates can be found in the agenda. This entry was posted in News on 6 July, 2011 by Jornt. la Boutique Fantastique opening Motel Mozaique! On April 7th la Boutique Fantastique will open the 2011 edition of the greatest music festival in Rotterdam Motel Moaziek. It’s a great to play on the opening night in a temporary church on the Schouwburgplein. For more info about the festival visit the Motel Mozaique site. This entry was posted in News on 3 April, 2011 by Jornt. la Boutique Fantastique album release. The la Boutique Fantastique debut album is finally finished. It will be the second release on the promising Kytopia label from Utrecht in the Netherlands. Visit the la Boutique Fantastique website for more information and show dates. Hope to see you at one of our shows soon. This entry was posted in News on 21 March, 2011 by Jornt. This friday night Boom boom du Terre will open the show for the new Danish hip hop sensation Lucy Love. It will be great fun as specially if your there! 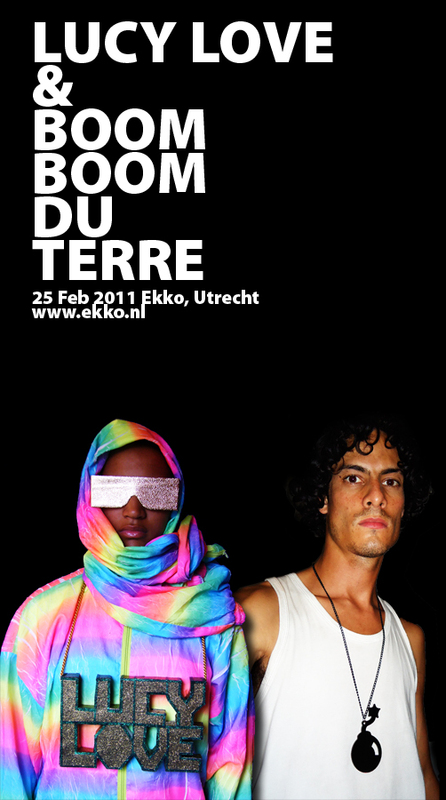 So hope to see you in the Ekko in Utrecht. This entry was posted in Boom boom du Terre, News on 21 February, 2011 by Jornt. This entry was posted in Boom boom du Terre, News on 1 January, 2011 by Jornt.